Some words are juicier untranslated! Jugaad, the Hindi word that best illustrates our philosophy, is one such word. It refers to innovative thinking that makes the best use of the materials in hand. To us at Karmmarg, it is a way of life. In an effort to minimize our environmental footprint, we only work with recycled raw materials such as cotton, newspapers, jute, wool, glass and more. The trick is to look at a crumpled piece of block printed cotton and transform it into a trendy, usable bag with years of life, fun and excitement in it. 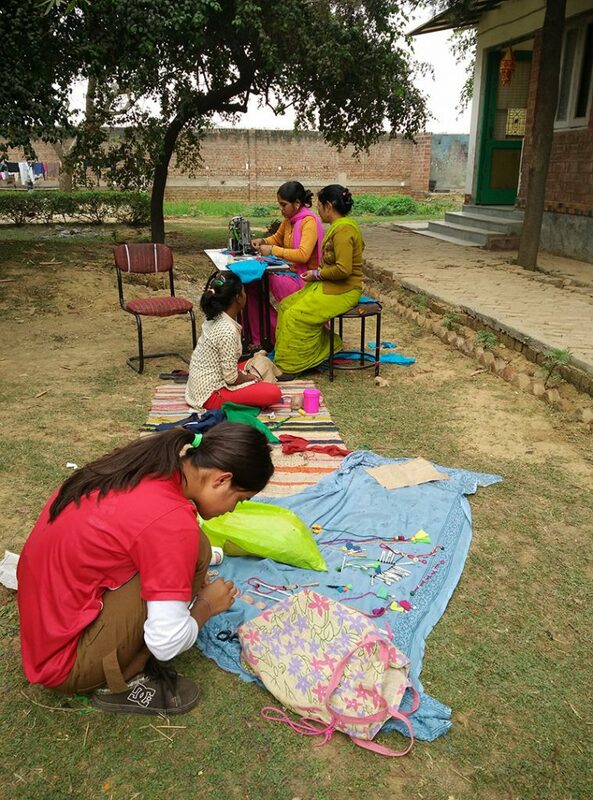 In many ways, the lives of children who live in Karmmarg have been similarly transformed from simply surviving in the cruel wastelands of urban poverty, to being useful and productive members of the Karmmarg family.